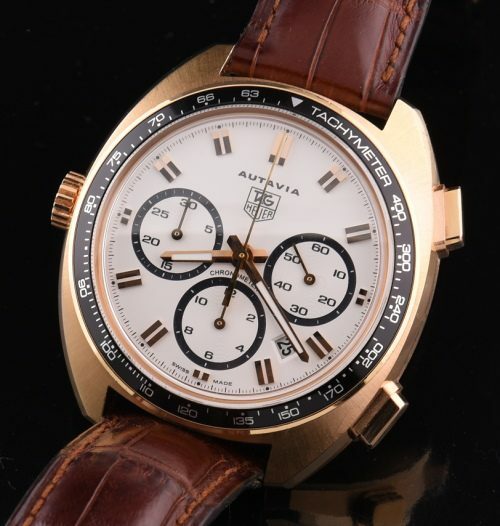 This is a newer Limited edition Heuer Autavia Caliber 11 Chronograph …150 made, with this one being 106/150 in 18k. solid rose gold with solid rose gold buckle and original band. This watch was worn, some marks on the case that could easily be polished. The sticker is still applied to the case back. The bezel and dial are pristine. The caliber 11 automatic is flawless. The watch comes complete as bought new with inner and outer box and all accompanying papers. Try to find one of these anywhere in the world!